Insurance may seem like yet another annoying overhead that costs time and money but it really is vital to your business. Having adequate cover can be the difference between the ability to move on from an incident and being crippled or even finished by a claim. Public liability insurance covers your business in the event of a customer or member of the public suffering a loss or injury because of something that your business has done. If a claim is successfully made against your business the insurance will pay out for the compensation and the legal expenses. Employers liability covers your business from claims made by employees who have been injured or fallen ill because of the work they do for you. It is a legal requirement in many countries and your business, no matter how big or small, may have to have it. P.I. (UK) or Errors & Omissions (US) protects businesses from negligence claims. It is vital for any SMB offering advice/services/skill as part of their offering. You will also need more business-specific insurance cover. For example a small plumbing company with three vans, all of which containing expensive tools, will need special tradesman cover to insure the tools if one of the vehicles is stolen. Similarly a SMB offering financial advice will need more specific errors and omissions cover due to the nature of the service. On top of these you may also need less business-specific insurance such as building insurance, if your business is based in an office. Or insurance that covers your office equipment such as computers. 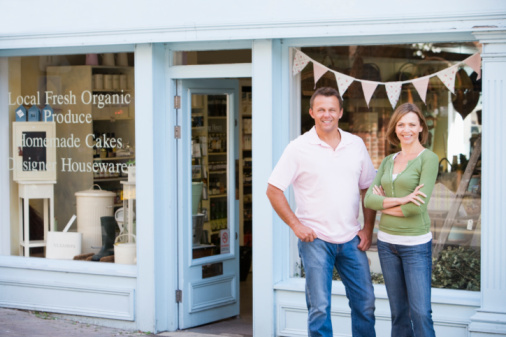 It is especially important for small and medium businesses to have ample cover because they are hit much harder by successful claims and fines. Whilst large businesses can absorb pay-outs and fines smaller organisations simply cannot afford them. It is not uncommon for smaller businesses to become insolvent following a claim being made against them when they lack adequate insurance. Large companies have entire legal teams, admin teams and the budget to prevent/limit the damage caused by claims. SMB’s don’t. You may find the premiums expensive but they are totally necessary. Any sensible SMB owner who is serious about the success of their business will make sure that it’s covered for all types of claim and other litigation. The best way of finding out what types of business insurance your business requires is to contact a number of different insurance brokers and direct providers and ask questions. The more information you provide them with, the better package they can build around your specific business requirements.